The Agri-Brexit Coalition is a grouping of eight organisations and trade associations involved in agribusiness, which aims to bring together the expertise of this particular sector of UK agriculture plc as negotiations on Brexit progress. 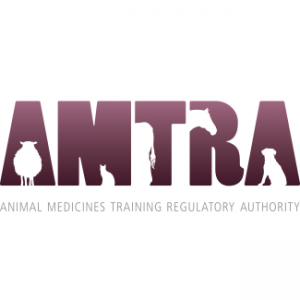 AMTRA is an independent regulatory body whose task it is to ensure that the marketing and distribution of animal medicines in the UK is undertaken in a responsible manner. NOAH is represented on the Board and Council of AMTRA. NOAH is a member of the CFSG, set up to advise Government on behalf of the sector on strategically important dog and cat health and welfare issues and standards. 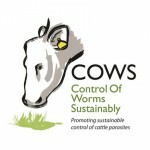 COWS (Control of Worms Sustainably) is an industry stakeholder group which aims to promote best practice in the control of cattle parasites. LEAF Education builds on the fantastic work of FACE (Farming and Countryside Education) following the successful merger with LEAF, to provide training and resources for teachers and help farmers navigate the world of education and support them in working with schools. HealthforAnimals is a non-profit, non-governmental organisation representing companies and industry associations from both developed and developing countries. 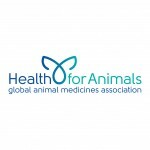 HealthforAnimals represents the animal health sector: manufacturers of veterinary pharmaceuticals, vaccines and other animal health products throughout the world, as well as the associations that represent companies at national and regional levels. National Pet Month is a registered charity unique in bringing together animal welfare charities and professional bodies throughout the UK with the common goal of improving the welfare of pets. National Pet Month 2017 ran from 1 April – 1 May. The charity aims to promote responsible pet ownership, make people aware of the benefits of pets to people, increase public awareness of services available from professionals involved with pet animals and raise awareness of working animals. NOAH is a trustee organisation, along with PFMA (Pet Food Manufacturers’ Association). RUMA is a unique initiative involving organisations representing every stage of the “farm to fork” process, RUMA (The Responsible Use of Medicines in Agriculture) Alliance aims to promote a co-ordinated and integrated approach to best practice in the use of medicines. NOAH is one of the founder members. 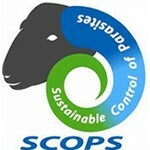 SCOPS (Sustainable Control of parasites in Sheep) is an industry led group that represents the interests of the sheep industry. It recognises that, left unchecked, anthelmintic resistance (AR) is one of the biggest challenges to the future health and profitability of the UK sheep industry. NOAH is amongst the representative organisations.